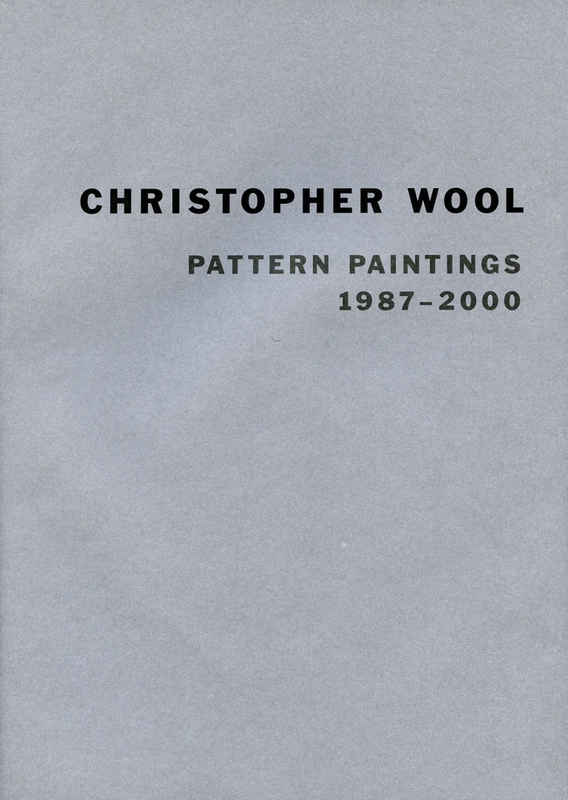 Published (in conjunction with Luhring Augustine) on the occasion of the exhibition Christopher Wool: Pattern paintings 1987 – 2000 at Skarstedt Gallery, New York, November 9, 2007 – December 15, 2007. Comprised of paintings on aluminum and canvas as well as works on paper, the selection of work demonstrates both the historical and self-reflective trajectory of Wool's artistic painting process throughout the years. He applies paint with a range of techniques: rubber pattern rollers, stencils, silk–screen and spray paint. There is often an element of the pattern that is imperfect, which is in later works further distorted with bold blank strokes of solid color (or white). This formula of picture making calls attention to the surface of the painting, specifically the movement depicted as well as the existence of flatness.